Just because they get together a lot doesn't mean they're friends. 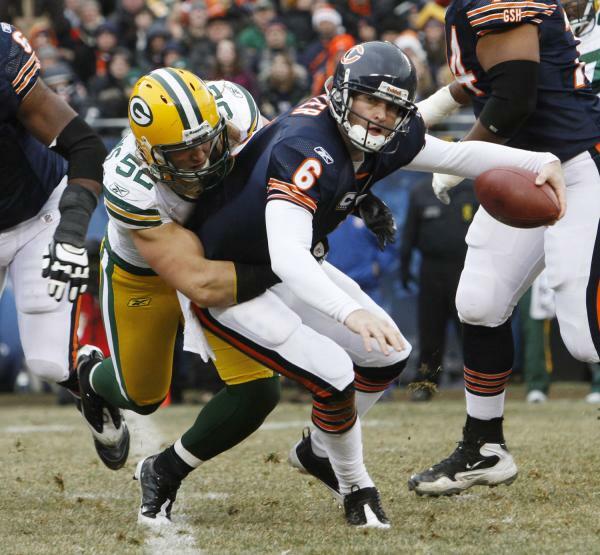 The early game tomorrow is an NFC North battle between arch-rivals the Green Bay Packers and the Chicago Bears. These are two of the oldest and most proud franchises in the NFL and have played more games against each other than any other 2 teams in league history. Tomorrow is going to be the 182nd meeting and it might also be the most important game of all of them. After all the winner is going to the Super Bowl. Despite being the 6th seed in the NFC, the Packers have looked like the best team after defeating the high flying Eagles and the top seeded Falcons in consecutive playoff games. They rather handily beat Atlanta too. While the Bears also had an easy time with the Seahawks last week they haven't looked nearly as good as the Packers in the run up to this game which is why they are favored by 3.5 pts despite playing in Chicago. Aaron Rodgers looked more like Tom Brady than Tom Brady did last weekend when he connected on 31 of 36 passes for 366 yards and three TDs against the Falcons. In fact he has a passer rating of 125 over the last nine games with 22 TDs against just 2 Interceptions over that time. Bears Cornerbacks Charles Tillman and Tim Jennings are going to have their work cut out for them. Both play an especially physical style and although they were successful at shutting down Big Mike Williams last week they will face Green Bay's core of big and fast WRs this week. Rodgers likes to distribute the ball almost equally to his group of 4 outstanding WRs; Greg Jennings, James Jones, Donald Driver, and Jordy Nelson. The Bears are going to rely on their big free agency acquisition Defensive End Julius Peppers to get after Rodgers and limit his time to throw. If the Packers Left Tackle Chad Clifton can keep Peppers away from his QB tomorrow, the Packers are going to be very tough to stop. The Bears also have a resurgent Brian Urlacher this year who will be keying on rookie Running Back James Starks. When Chicago has the ball they'll be relying on their big free agency acquisition from last year, QB Jay Cutler. Cutler is a rocket armed hot-head who has looked rather controlled over the past few weeks. His recent composure probably has a lot to do with the cohesion of the Bears offensive line which was giving him absolutely no time early this season and in fact led the league in sacks allowed this season. They'll have their hands full with the Packers pass rush which includes defensive demon Clay Matthews III and over-active Defensive Tackle BJ Raji. When Cutler drops back to pass he'll be looking for targets Devin Hester, Johnny Knox, and Greg Olsen who will be covered by a tandem of great Cornerbacks Charles Woodson and Tramon Williams. The improvement of the Bears Offensive Line has also sparked new life into former rookie sensation Running Back Matt Forte. He has been really exploding through holes lately and is always a great safety option for Cutler coming out of the backfield. When all is said and done, the Bears are going to have a very tough time getting after Aaron Rodgers enough to stop him from getting the ball to all his talented play-makers. I expect Cutler to succeed on a few big plays but really lack the ability to put together long drives with any consistency. The Packers are going to win in a great game 34-27. I can't believe that not once in your preview did you mention Caleb Hanie!